We Spa Spies get to visit lots of spas as part of our day job but we still get excited about finding a spa bargain. But what is a bargain? Is it low price or good value? There is a proliferation of websites offering ultra cheap spa days. If a spa day for £30 sounds too good to be true, then it probably is. No good spa can afford to offer a spa day for that price. The phrase that springs to mind here is ‘false economy’. If you have paid £30 to be in a dirty, overcrowded spa with horrible food then you have wasted £30. Whereas if you spend more and have a really wonderful day with soft towels, delicious food and great facilities then you have value for money. At Good Spa Guide we love great value, not rock bottom prices. So when we were invited to review the Day Spa Whittlebury Hall Package for £109 we were very interested. This spa package offers full use of the Heat and Ice Experiences and the Health Club plus a two course buffet lunch. Last but not least you can also choose two 50 minute treatments. And it was this that really impressed us. 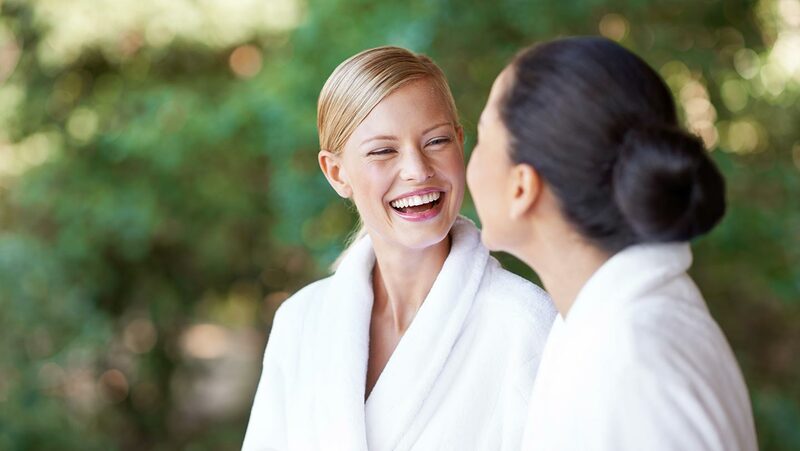 Most spa day packages include mini treatments of around 25 minutes. Everything at Whittlebury Hall is done on a large scale. The spa and health club are spacious with many facilities. This is a very big spa, able to handle large numbers of guests. This in turn means that they are able to offer well priced spa days, like the Day Spa Whittlebury Day Package which at £109 offers real value for money. If you want hushed luxury or exclusivity this is not the spa for you. 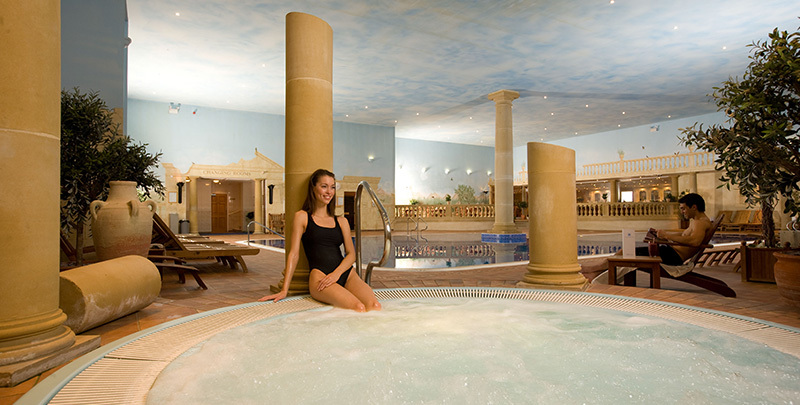 However if you have a low boredom threshold a large spa like Whittlebury Hall is a wise choice. There may be lots of people there enjoying it with you but you get loads of facilities to explore. There is a round hydrotherapy pool, thermal Heat and Ice experiences and down the corridor in the Health Club, an absolutely massive pool area with plenty of loungers around the edge. The Day Spa at Whittlebury Hall’s Day Package has a choice of five treatments: The Day Spa Well-Being Massage, Elemis Urban Cleanse Facial For Men, Elemis Skin Specific Facial, The Day Spa Holistic Experience, and The Day Spa Nectarine Burst & Sweet Honey Glaze. I went for a relaxation double whammy of the massage followed by the Holistic Experience which includes both reflexology and an Indian head massage. After all of that relaxation, I needed to get horizontal. The Whisper Room is an enormous high-ceilinged space with pairs of water beds screened by white net curtains. I found a free one and snuggled down under the many fleecy blankets. It’s cold and nasty out there, so a day at a large scale spa is a perfect -- and reasonably priced -- way to escape the winter.